E-Cigarettes, the vape pen or the shisha pen are becoming increasingly popular every year and we are starting to see more and more celebrities taking up a vaping. 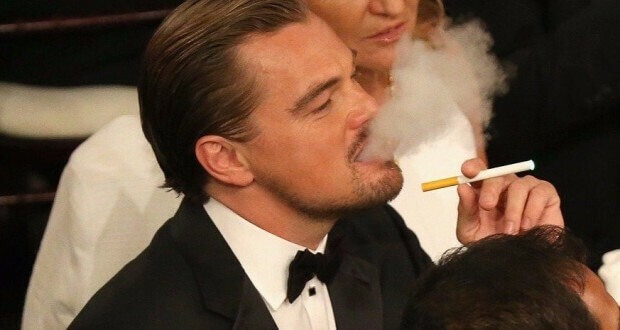 Some of the biggest celeb ambassadors of the e-cig are Leonardo Dicaprio, Katherine Heigl and Snoop Dogg, who are always spotted vaping in public and at award shows. We’ve put together a list of a few actors, actresses and music stars that you may be surprised to learn, have kicked their cigarette habit and picked up a vape pen. The Foo Fighters lead singer and ex-Nirvana drummer has always been seen with a cigarette in hand. Recently he was seen purchasing a vape mod, propped up by crutches after breaking his leg at a show in Sweden, indicating that the long time smoker has made the switch. After her husband, Michael Douglas, was diagnosed with throat cancer, Catherine Zeta Jones made the switch to e-cigarettes. She’s been spotted a few times out at lunch with friends and family using her vape pen. Undoubtedly one of the coolest men in show business, #Samuel L Jackson is often seen vaping, whether that’s in public, on TV or at appearances. Not only has he posted images of himself with his vape pen on social media, but also appeared on Jimmy Fallon to recite poetry, whilst vaping. His chiseled physique and his fitness habits usually hit the headlines,so it’s no wonder that Efron has thrown out cigarettes and opted for a vape pen. The star is often seen vaping at events, parties and out in public with friends. Chris O’Dowd made a big step into Hollywood in 2011 with a role in comedy hit, Bridesmaids. Whether the growing Hollywood trend of vaping has influenced his decision to switch to e-cigarettes is unknown, but either way O’Dowd has been seen a few times with a vape pen in hand. Tom Hardy is one of Hollywood’s hard men, but in 2015 he was spotted with his pregnant wife, with an e-cigarette firmly in his pocket. He’s also been seen on the set of his film, Legend vaping. There’s definitely been a rise in celebrity vapers within the last few years and with constant research emerging around e-cigarettes, we’re set to see more stars reaching for a vape pen instead of a cigarette.